You are here: Home / US Powerball News / Iraqi Player Wins US Lottery Jackpot – So Can You! 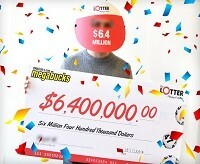 Iraqi Player Wins US Lottery Jackpot – So Can You! The media was buzzing when the news came in from Oregon… a man from Iraq won the $6.4 million Oregon Megabucks jackpot by playing lottery overseas. He hadn’t even stepped foot in the US to purchase the ticket, so how could this have happened? The winner has been allowed to claim his prize anonymously so there is little known about the lucky ticket holder. The lottery organisation agreed that for his safety, they would make an exception to Oregon Lottery rules. We do know that the man comes from Iraq and he has decided to take the $6.4 million jackpot in yearly installments of $256,000 before taxes. 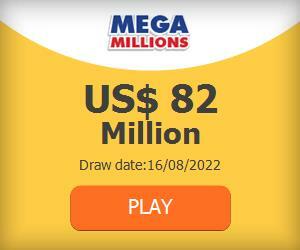 The tax on lottery prizes over $5000 is approximately 38% for foreign non-residents, though in case of a win, please consult an accountant or financial consultant for more information. So if the man had never set foot in the US, how did he win millions of dollars? The answer is simple, but had many people at the Oregon Lottery doing a double take. The winner played online from his home in Iraq. Is that legal? Oregon Lottery checked it out and determined the answer to be a resounding yes. You cannot buy lottery tickets and have them sent in the mail — that is a no-no in the US. However, the Iraqi lottery player used an online lottery messenger service, meaning that he purchased the ticket online and someone in Bend, Oregon physically purchased the ticket for him at a local shop. The scanned copy of the ticket was then sent to the customer as proof of ownership, but the physical ticket always stayed in the messenger service’s Oregon office. So what does this mean for you? It means that you can win the US Powerball jackpot from anywhere in the world — from the top of Scotland to the tip of South Africa! What are you waiting for? The US Powerball jackpot is a brilliant $180 million and it’s calling your name!